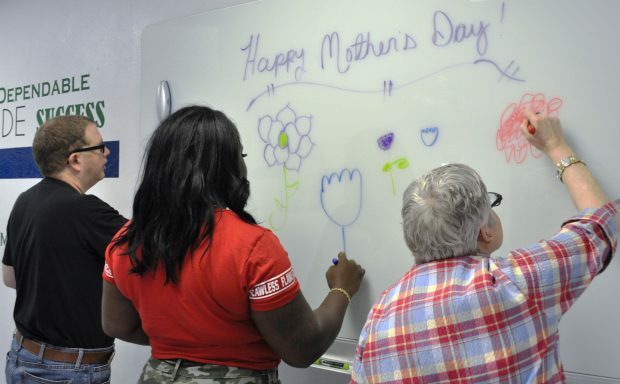 May 11, 2018 – Happy Mother’s Day from the staff and residents of Duvall Homes! 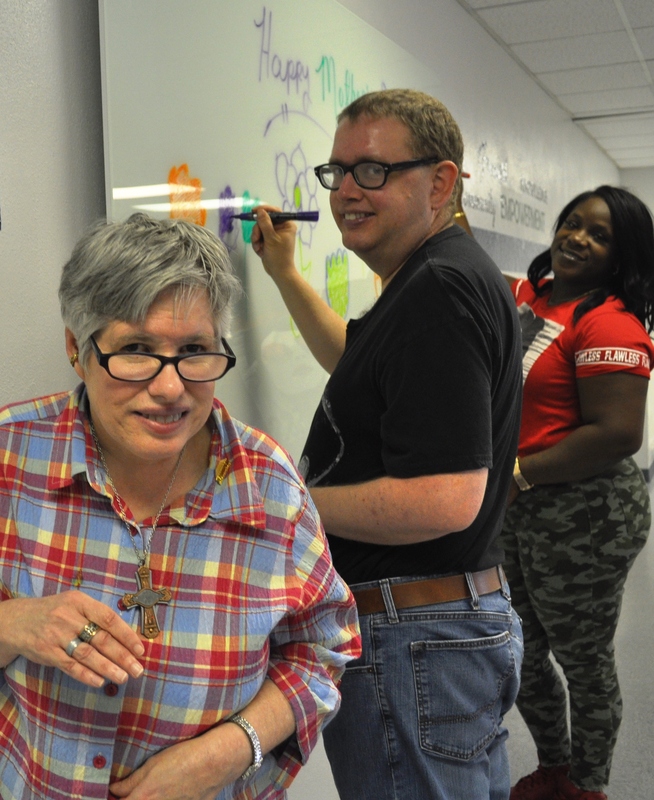 Adult Day Training Support Specialist, LaToya (right), tests out the new white board with Jon and Priscilla in Duvall’s newly renovated Vocational Training Center. Read about the new workshop space in Duvall’s 2018 Spring Newsletter coming to your door soon. Sign up to receive Duvall news.